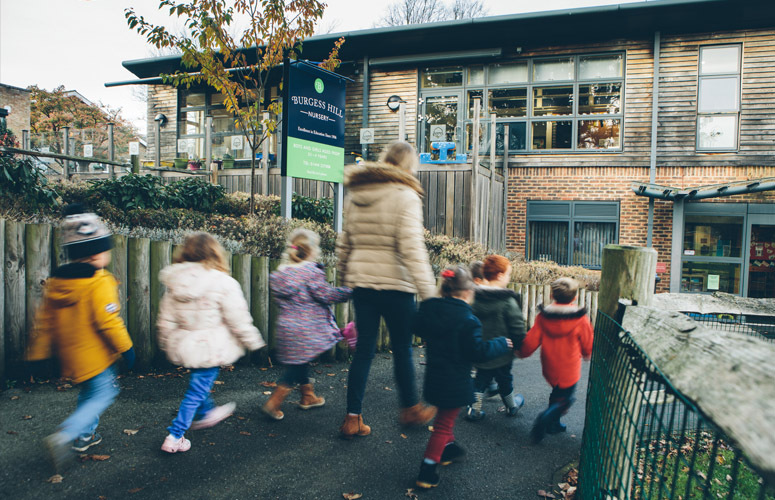 Prospective parents are invited to visit our Nursery during Open Days at Burgess Hill Girls. However, appointments to visit may also be arranged for other times. Entry into the Nursery is by parent consultation with the Nursery Manager. Places are available for both boys and girls over the age of 2½ years. Girls may progress through into our Reception class at Burgess Hill Girls the September after their fourth birthday. We are happy to give advice on the next stage of your son’s education. After your consultation with the Nursery Manager in order to have your child’s name added to the provisional admissions list, you will be asked to complete and return a Nursery Registration Form together with a non-refundable fee of £50* (£150* if you daughter will be joining the main school). An offer of a place may be made at this time, but it is usual for us to delay making any offer until nearer the request entry date. Once an offer of a place has been made, we ask you to complete an acceptance form accepting the Nursery Terms and Conditions and return to office together with a deposit of £200, refundable against the final terms fee, by the date specified in the offer letter in order to guarantee a place. Acceptance forms received after this date will still be considered but we reserve the right to advise you that the place is no longer available. We recommend that children attend at least 2 sessions initially (Hedgehogs class), and they are encouraged to attend a minimum of 3 sessions when they move up to the Badgers or Squirrels class. 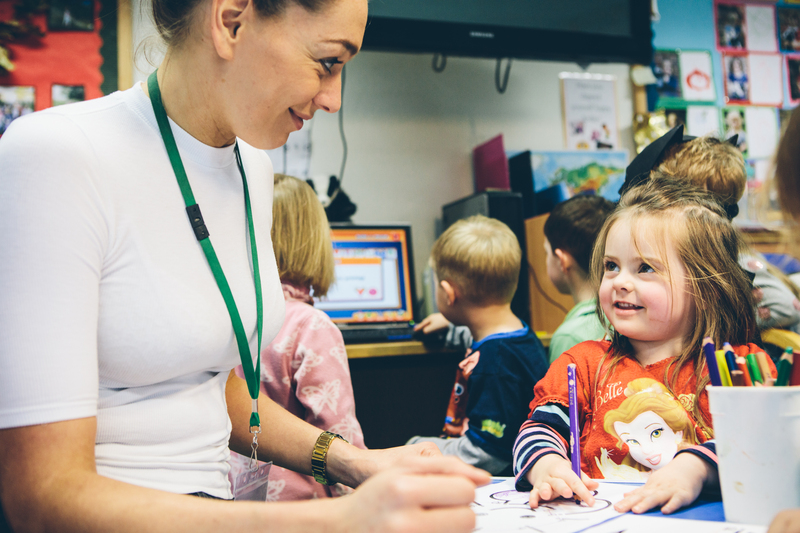 This enables them to take full advantage of all that we offer and ensures they benefit fully from our outstanding provision of Early Years education. Children whose parents have committed to their daughter going through to Burgess Hill Girls. Children who have siblings in Burgess Hill Girls. Children requiring full days, 8am–6pm, or school days, 8.30am–3.50pm, 51 weeks a year. Children requiring full days, 8am–6pm, or school days, 8.30am–3.50pm, term-time only. Children requiring half day sessions (no free entitlement hours). Children requiring half day sessions as free entitlement only sessions. NB: Half day sessions run as 8am–1pm or 1pm–6pm. *does not apply for children accessing free entitlement only sessions. The higher priority up this list your child is, the more likely it will be that we can meet your requests for sessions. Conversely those with lower priority may be less likely to have their exact requests accommodated when there is a high demand for places. To arrange an appointment to view our nursery, please call 01444 237 008 or email the Nursery Manager.